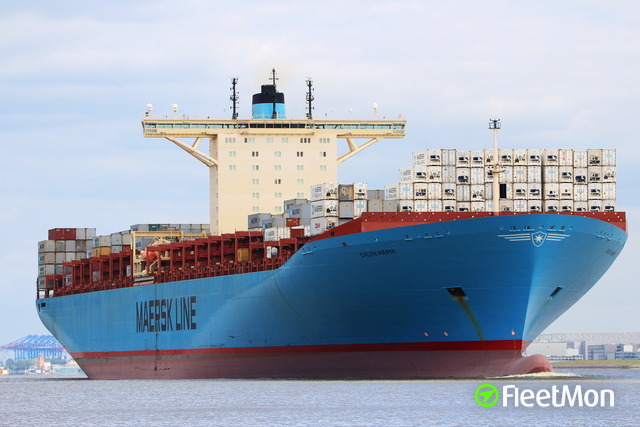 The Emma Mærsk class is a series of eight identical container ships of the Danish shipping company Mærsk, which were built at Odense Steel Shipyard. From 2006 until the commissioning of the CMA CGM Marco Polo in November 2012 it were the largest ships of their type. 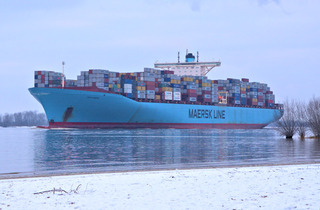 The Maersk E Series comprises eight 14,770 twenty-foot equivalent unit (TEU) container ships. Each sister ship bear names beginning with the letter "E". 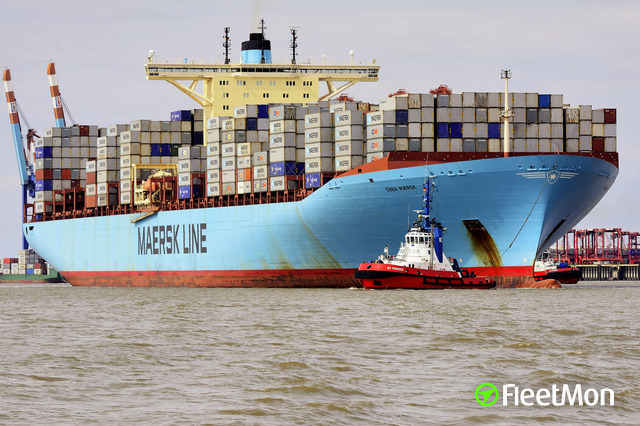 Until 2012, they were the largest container ship ever constructed, and are among the longest ships currently in use at 397 metres (1,302 ft) long and 56 metres (184 ft) wide. 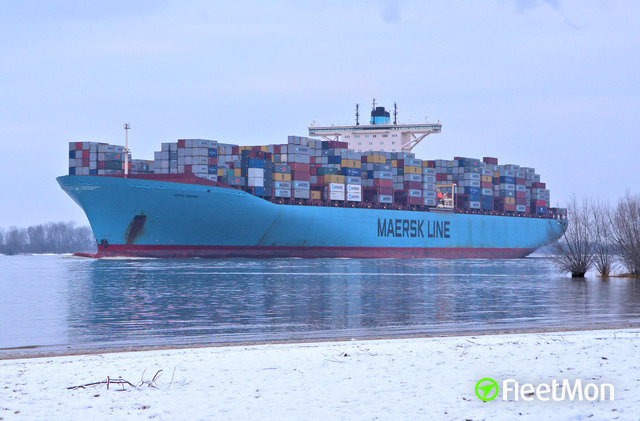 They are owned by the Danish A. P. Moller-Maersk Group. 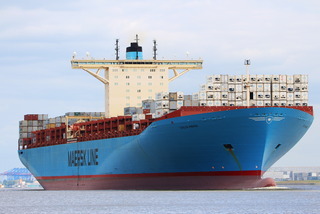 The first in the class built was Emma Maersk by Odense Steel Shipyard Ltd., Denmark. The E-class was followed by the Triple-E class, which is even larger and more fuel-efficient. 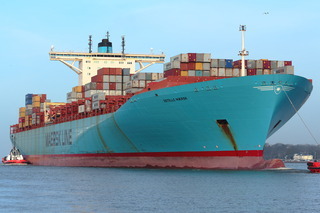 The lead ship of the class, called a PS Series is the Emma Mærsk. The ships belonging to the Grand class, were made between the beginning of September 2006 (Emma Mærsk) and early 2008 (Eugen Mærsk) in service. 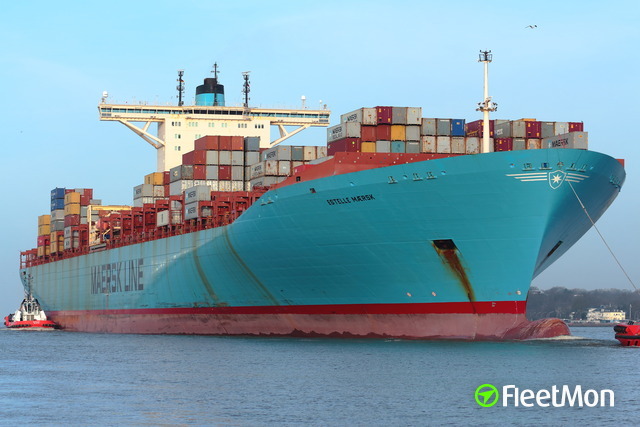 The Emma Mærsk ships have the lowest resistance value extruded ton of all container ships due to their size and optimizations to the fuselage. The Emma Mærsk was completed in August 2006 at the company's shipyard in Odense/Denmark due to a fire during construction with two months delay. 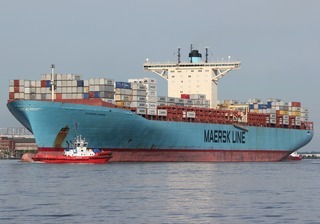 She has a length of 397 metres and a width of 56.4 m, which it surpasses the this second MSC Danit to 5 m in width. The lifting capacity is 156.907 DWT. The maximum speed is about 26 knots at design maximum draft. 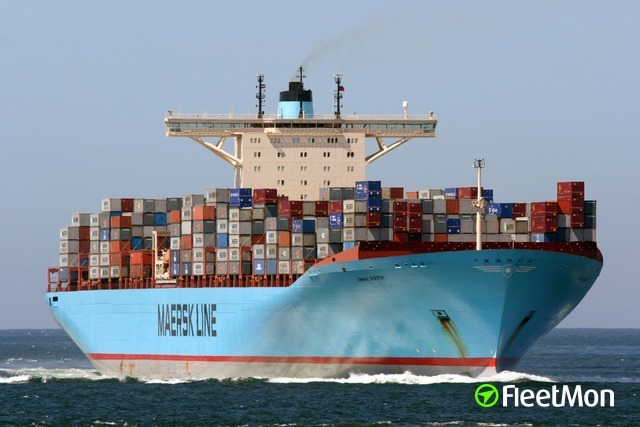 The ship can 14.770 20-foot standard containers (TEU) download according to official information, of which 1,000 reefer containers. 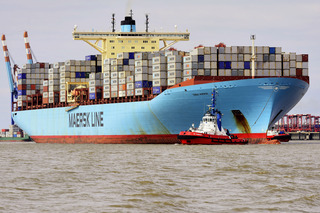 The difference between the previous entries of 11,000 TEU and the actual dimensions is therefore, that the shipping company Mærsk always goes off when swooped to the loading capacity of a container ship loaded, 14-ton containers, while other shipping companies specify the maximum number of containers which have ranked the ship. 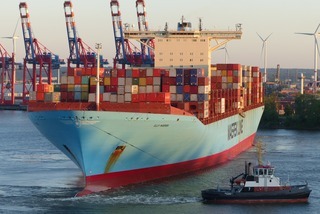 The Emma Mærsk is the first ship of this new scale, which was built in the deep water port in Wilhelmshaven. 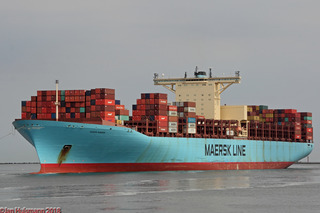 The turning point before the current quay of the CT Bremerhaven at the Weser was extra has been widened for the Emma Mærsk on 600 m. The 135-ton propeller is manufactured in Waren (Müritz) in Mecklenburg metal casting GmbH. This is the largest and heaviest propeller, which has been built so far. 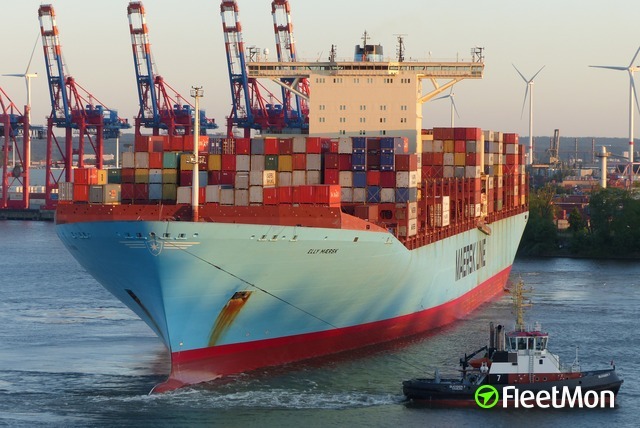 The underwater hull was equipped with a silicone coating, which saves up to 1,200 t fuel according to the shipping company in the year.